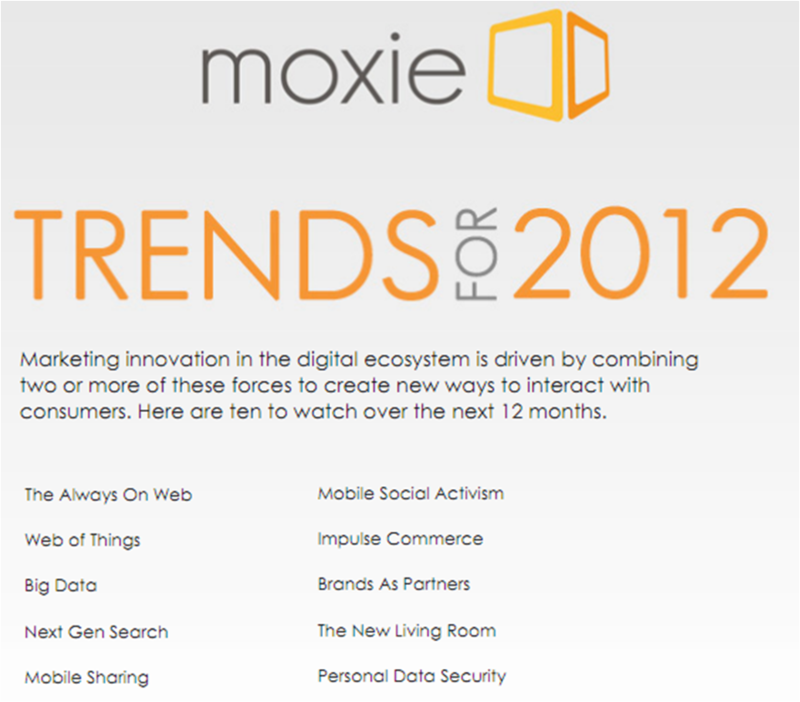 Moxie Interactive have published their Moxie 2012 Trends report and it contains a host of useful information alongside fascinating predictions for the year ahead. 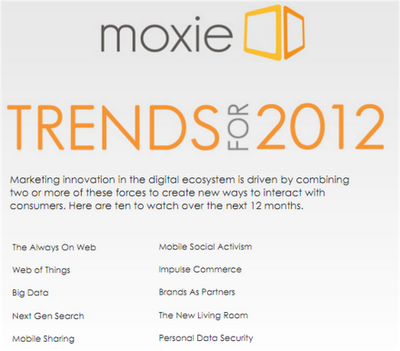 "At Moxie, we publish a report each year that analyzes existing trends in order to gain insight into what will break over the next year. It’s an important and interesting exercise, which helps us focus our energies and filter out the noise. We apply ascendant trends to our clients digital marketing efforts and all year long we meet with innovative technology companies in order to get a jump on the next big thing. This year, we identified ten trends that will drive digital over the next twelve months." The Moxie 2012 Trends report gives detail around each of these areas, before finishing with practical tips on how to maximise the opportunities that these areas offer.